The Key to the saving of the bills of Internet depends upon control of data transfer. Operating system along with all other software and apps require continuous streaming of inflow and outflow of data which directly affects your internet bill. To control the bills, it is the best idea to control the mobile data transfer which though may slow down your app updating and improvement but will definite keep your internet bill within limits. This is easy to control you data flow by just few taps. For the purpose, follow the instructions. Command Line: Settings – Home > Data Usage. 1: Tap ‘Settings’ at the Home screen of your Android 4.4.4 KitKat Device. 2: Tap ‘Data usage’ under the WIRELESS & NETWORKS. It will open up the Data usage screen. 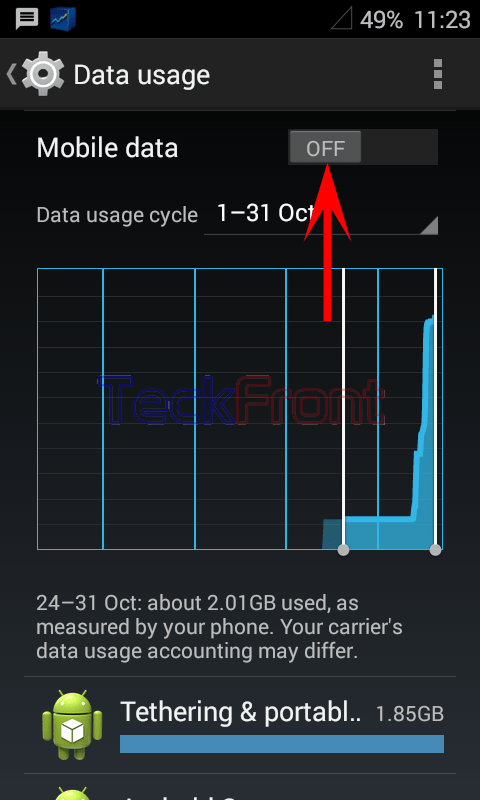 3: See the ‘Mobile data’ switch is OFF at the ‘Data usage’ screen. 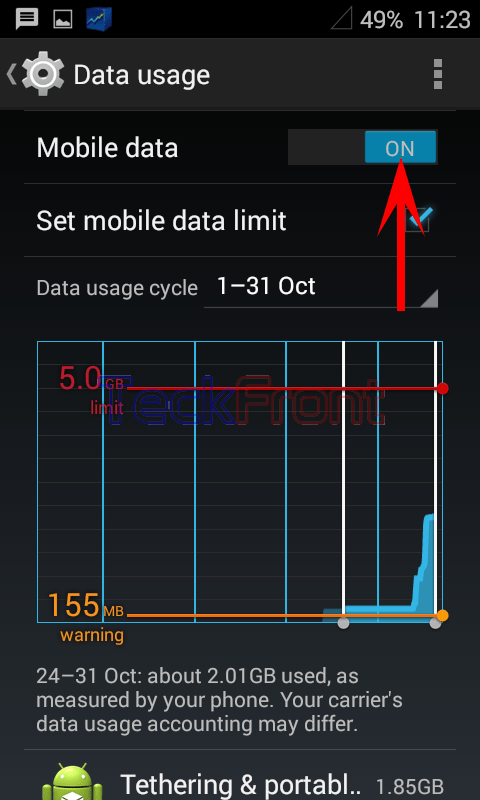 4: At the ‘Data usage’ screen, tap and switch ON the ‘Mobile data’. See many options, which were disabled previously, are enabled and ready to set. Now, your Android device may acquire data, required for your Android device, without any restrictions. 5: On the other hand, you may switch OFF your mobile data by just switching off the mobile data. Newer How to Choose System Language for Android 4.4.4 KitKat Device? Older How to Group Snaps by Location, Time, People or Tags in Android 4.4.4 KitKat Device?